Girlfriend wrap with hammered heart charm. Unique leather wrap bracelets that double as necklaces. 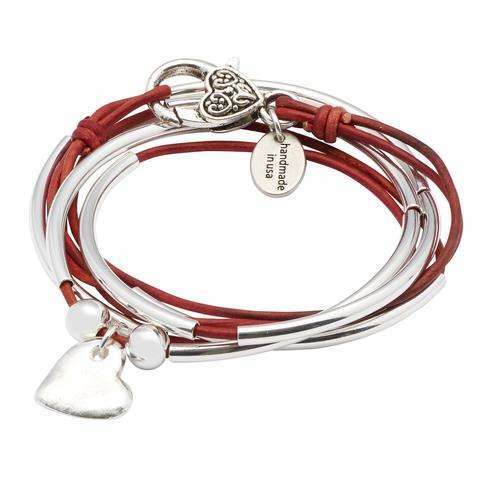 Customize 50+ leather colors, 200+ charms, over 200 styles. Made in the USA.